Come on down to UNIS Hanoi’s Winterfest 2018, on Friday 7 December from 17.00-19.00 in front of the old canteen! You and your family will be able to sample a variety of delicious food and drinks, including nutella waffles, Vietnamese banh mi, and gingerbread cookies. 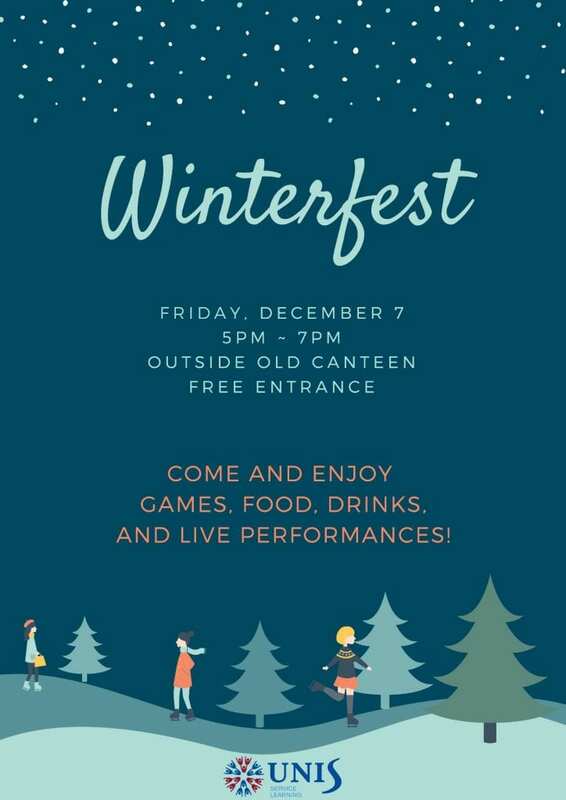 At the same time, you’ll be able to enjoy some fun games and live performances, the perfect combination to get you into the festive spirit! We are reaching out to performers of all ages and talents. If you like to sing, dance, or to perform poems…etc. Click here to volunteer to perform. We encourage all community members – to come on stage! This entry was posted in allschool, Community Events by tintuc. Bookmark the permalink.